We spend a ton of money and time avoiding them ourselves, but bad hair days are not a human-specific phenomenon. 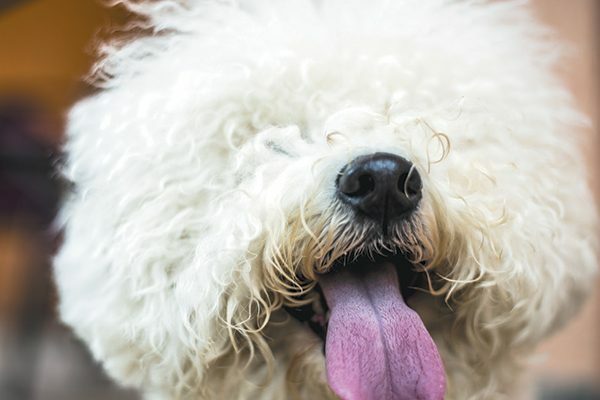 These 10 dogs definitely know the meaning of “bad hair day,” and we’ve got some expert tips on how to make dog grooming go more smoothly. He’s never met a mud puddle he didn’t like, and he’s never met a shampoo that could conquer his ’do in one shot. 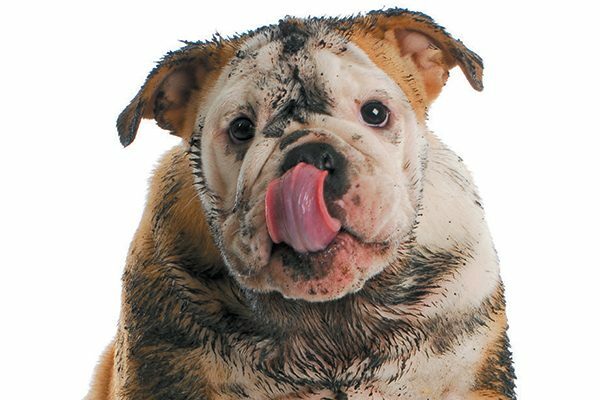 This dog inspired the phrase, “lather, rinse, repeat.” And repeat … and repeat. Tangled isn’t just a Disney movie for this dog — it’s a way of life. If your pal’s fur clumps together faster than a litter of sleepy puppies, bad hair day prevention means brushing until you’re the one who needs a nap. Some people say dogs can see ghosts when humans can’t. That is simply the only explanation for this look because we know this pup didn’t stick a fork in the electrical outlet. Whether it’s gum, glue or the maple syrup he stole during brunch, this dog’s bad hair day started when he got into something he shouldn’t — and he just became the prime suspect in this crime against his coat. A bald dog. Photography by Globalp/Thinkstock. 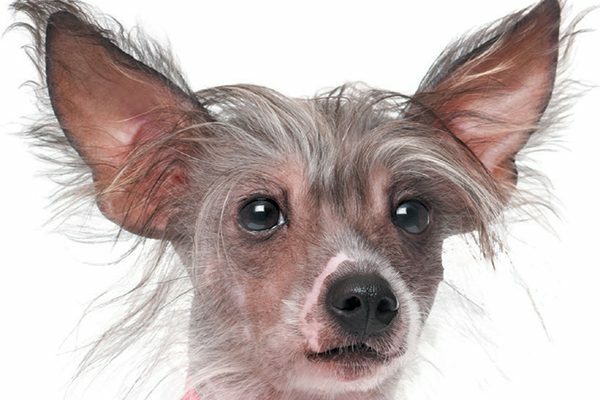 This dog’s genetic code hacked the bad hair day, but don’t be jealous. What the coatless breeds save in grooming costs they just end up spending on sweaters. A very curly Bichon Frisé. Photography by MarijaRadovic/Thinkstock. When this cutie’s curls are wound a little too tight he becomes more frizz than floof. Thankfully, this is not a permanent puppy perm. Blow-dryers aren’t just shaped like weapons, they are weapons in the fight against bad hair days. Unfortunately, not everyone knows when to holster theirs — just ask this over-styled, over-fluffed pup. The double-coated dog’s tail sometimes looks like a duster, but it’s actually putting down more debris than it’s picking up. You know it’s a bad hair day when the hairs themselves are abandoning ship. A dog with a ribbon in her hair. Photography by Uroshpetrovic/Thinkstock. They’re called “pigtails,” not “dogtails,” and this pup would rather walk the plank than wear these bows in public. What’s uneven, unprofessional and was likely done with kitchen scissors? This poor dog’s hair. Like the bowl cut in elementary school, this bad hair day seems to happen to everyone at least once. A dog surrounded by grooming products. Photography by Damedeeso/Thinkstock. 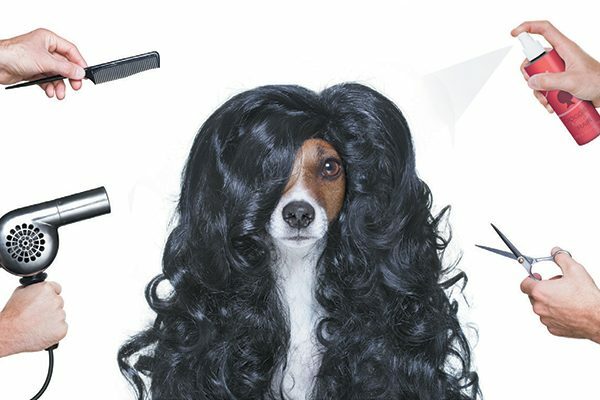 Avoid bad dog hair days with these tips from a pro! A former groomer herself, Megan Mouser is now the Education Manager for the Animal Division at Andis, a manufacturer of grooming tools. I Groom My Own Dog — and I Even Get Compliments! Heather Marcoux is a freelance writer/live-in hairdresser for GhostBuster, a Golden-Lab mix who leaves more hair on the floor each day than his terrier sibling, Marshmallow, has ever grown. Follow @HeatherMarcoux on Twitter and check out @ghostpets on Instagram to see GhostBuster’s fur at its worst. 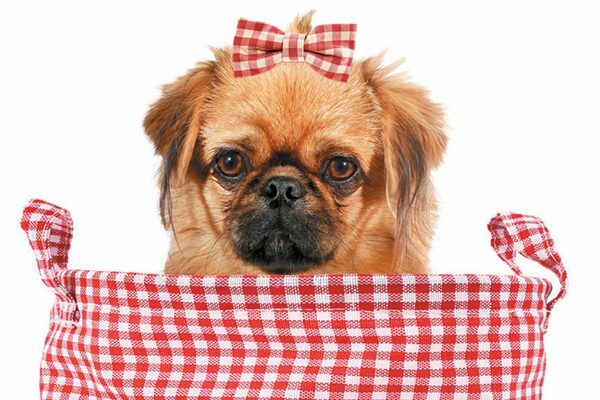 The post 10 Dog Grooming Fails and How to Avoid Them appeared first on Dogster.